Handy & Dallaire Events is an established, full-service event design and planning company based in Nantucket, Massachusetts, with offices in Boston Massachusetts, that offers the inspiration, the experience, and the personalized approach to client service necessary to make any event extraordinary. Founded by David M. Handy (David M. Handy Events) in 2004, and later joined by his husband Donald, the design duo of Handy & Dallaire Events has been setting the scene for weddings, events, and fundraisers up and down the East Coast for over a decade. With David’s extensive design background in event planning and design and Donald’s keen eye for detail and execution, this team ensures a seamless planning experience and an amazing, memorable event that will exceed your expectations in every way. H&D Events has been featured in top industry publications such as Grace Ormonde Wedding Style, Southern New England Weddings, Boston Weddings and Bliss Celebrations. Known for their discerning taste and sophistication, their work has also become a favorite of many wedding blogs including The Knot, Style Me Pretty, Wedding Wire and Well Wed. In addition to designing and planning private events, the H&D team has also collaborated with non-profit entities in Boston, New York, Palm Beach and Nantucket. Handy & Dallaire Events is a proud partner, and the official event designer, for The Nantucket Hotel & Resort. 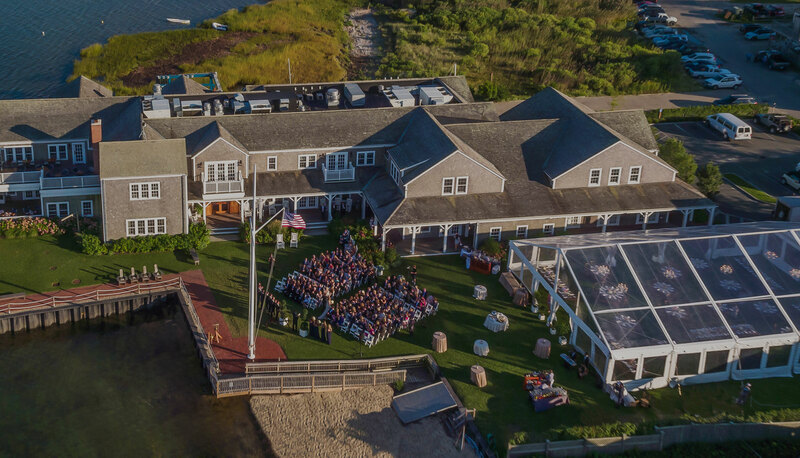 For clients who contract with Handy & Dallaire Events, and also book the Grand Ballroom at the Nantucket Hotel, a special package rate will be given for the full event planning service. Contact H&D Events for more details. The Nantucket Hotel, named one of the country’s top 25 hotels, is the island’s premier hotel. Together, H&D Events and the Nantucket Hotel create visionary events that bring your special celebrations to a whole new level and will leave you and your guests breathless. The Grand Ballroom at the Nantucket Hotel & Resort is the perfect setting for a quintessential Nantucket wedding. Originally build in 1925, the Grand Ballroom re-opened in 2012 after a complete renovation. The venue’s traditional, 19th- century architectural-style exterior and immaculate, modern interior décor sets a new standard for romantic elegance. It is the largest indoor wedding venue of its kind on the island and can accommodate all of your ceremony and reception needs.